LiDAR is a laser remote sensing technology used for mapping terrestrial surface in 3D imaging. This system can go through visual obstacles such as cloud cover and most importantly, vegetation cover. 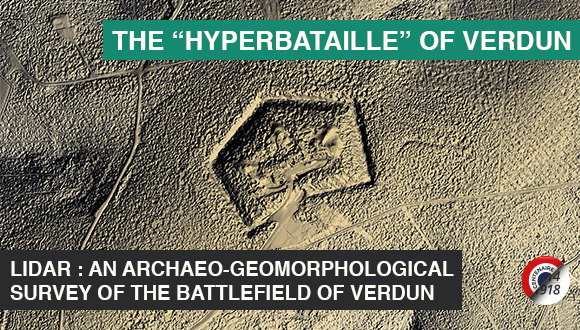 A LiDAR airborne mission was carried out in 2013 as part as the «Verdun 14/18 Forêt d’Exception®» project during which 50 cm high resolution topographic data was collected on some 11,000 hectares of the national forest grown over the battlefield. 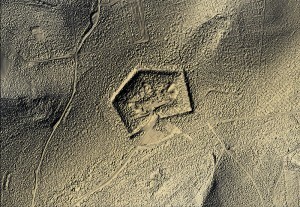 Since 2003, LiDAR is a young inventory tool that has contributed to the discovery of many archaeological sites all over the planet. 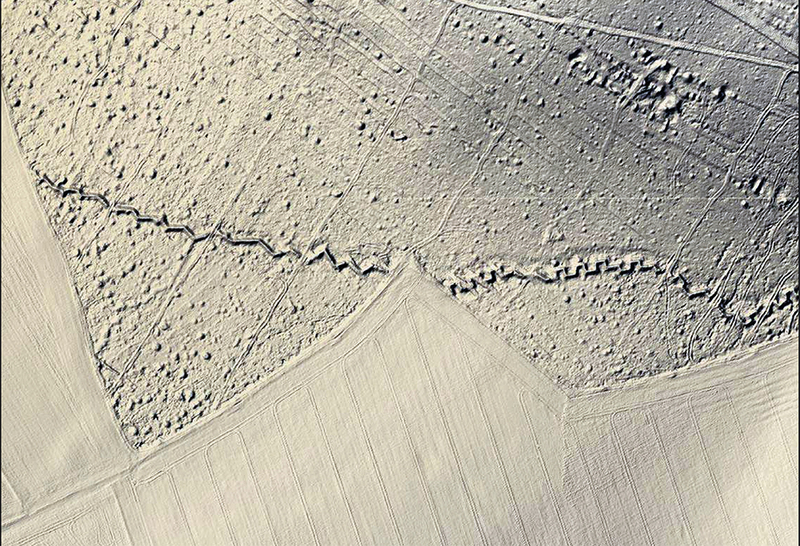 The treatment and visualisation in 2D or 3D of the images created with the Geographic Information System (GIS) on the site of Verdun have allowed us to make a cartography of the remnants of war that are applicable to numerous fields such as military archaeology, forestry management and heritage conservation. 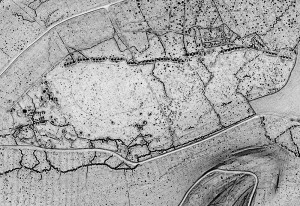 Data collected from LiDAR surveys provides a well-argued response to questions such as: How to improve the understanding of the battlefield? What are the environmental impacts of the Great War? Did vestiges of war degrade over the century, and how? How to best preserve and conserve them? 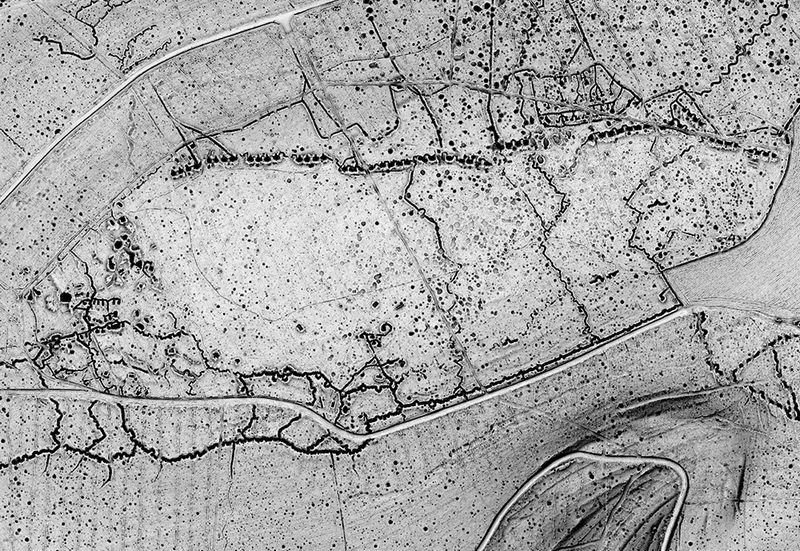 How to assess the ecological potential of environments such as conflict-induced landforms?